It’s go time. 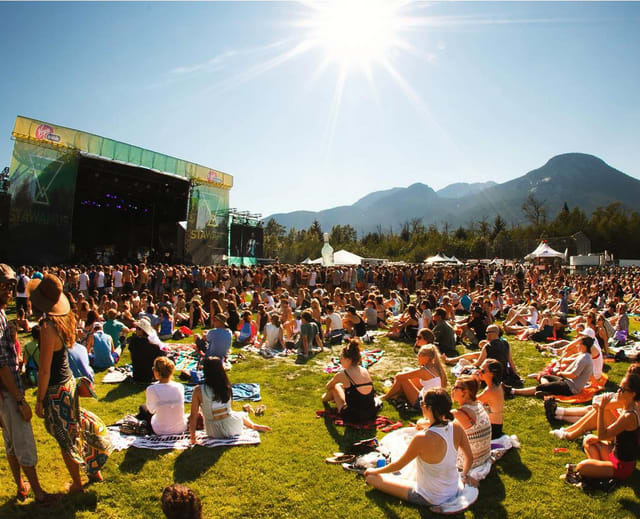 As Squamish Valley Music Festival approaches, it’s time to start strategizing, so you can maximize your festival potential. Road trip playlist? Check. Camping supplies? Check. Sunscreen? 60 SPF. What about your schedule? That’s where we can help. The Squamish lineup has something for everyone. If you’re into hip-hop, you’ve got Drake and A$AP Rocky in your corner. If electronic vibes are more your thing, Hot Chip and Odesza are a safe bet. Are you rock’n’roll to the core? Don’t worry, Arkells and Alabama Shakes have your back. The headliners are a no-brainer, but what about some of the festival’s best kept secrets? We’ve hand picked a few of our favourites from the lineup, so you can fit them in between headliners, impromptu dance parties, and trips to the beer garden. Speaking of the beer garden, make sure you check it out at 11:00PM on Friday for a secret set presented by Budweiser. Seriously. Don’t miss it. Here are 5 acts you need to see at the Squamish Valley Music Festival. Check out the full lineup here, and if you haven’t copped passes yet, you can do so here.